Here’s a new twist on an ancient practice: skilled shepherds as ecological doctors! That’s the innovative idea of two agricultural researchers, Fred Provenza, emeritus professor of behavioral ecology at Utah State University, and Michel Meuret, an animal ecology scientist and director of research at the French National Institute for Agricultural Research (INRA). Their thinking is as straightforward as it is unconventional: skilled herders can be ecological doctors to heal damaged land and provide ecosystem services to human communities, including high-quality, locally sourced food and fiber—to which I would add increased carbon sequestration in restored rangelands. Herding refers to the process of moving a group of animals as a unit from place to place in search of fresh forage under the daily direction of one or more humans and their ever-watchful dogs. The key to successful herding is managing the natural behaviors of wild or domestic herbivores, which historically lived in extended families for protection, and controlling their movement and placement by human voice command and swift dogs. 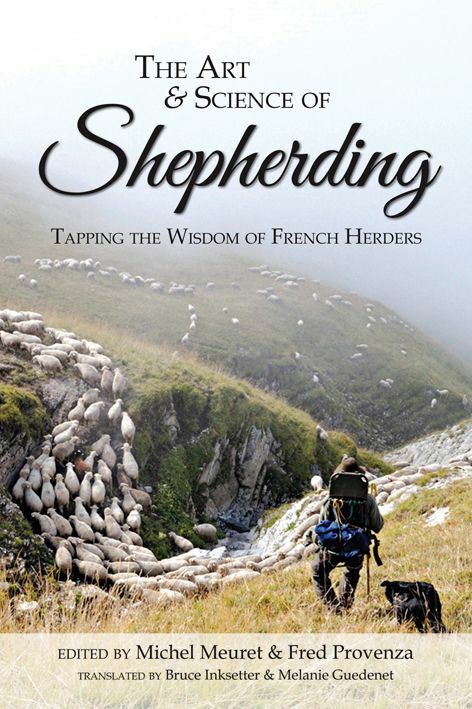 Meuret and Provenza explain their thinking in a book they’ve edited, titled The Art and Science of Shepherding: Tapping the Wisdom of French Herders. I recommend the publication to anyone interested in the regenerative possibilities of agriculture. The reason why is implied in the book’s title: art + science = wisdom. 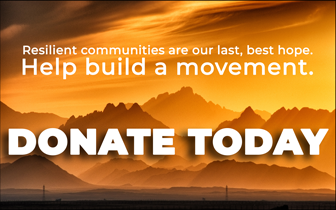 That’s an essential equation for meeting the rising social and environmental challenges of our era. The art part of shepherding has very old origins. Humans have been moving cattle, sheep and goats across varied landscapes probably since the time these animals were first domesticated in the Middle East, roughly 9,000 years ago. It remained a widespread and ever-evolving practice around the globe (fitted to local conditions) until petroleum and barbed wire fencing put most shepherds out of business. Today herding is vibrant mostly where it is essential to the cultural identity of indigenous people, such as the Maasai of eastern Africa and the Navajos of the American Southwest, or where it has stubbornly persisted in the face of rampant industrialization, as it has in France, Italy and Spain. So what? If it’s a matter of controlling livestock, won’t fences do? Why hire a human with all the costs involved? If it’s the positive effects of herbivory you seek for land health purposes (removal of old grass, breaking up of capped soil and fertilization by defecation), shouldn’t multi-paddock, planned grazing using portable electric fencing be sufficient? More philosophically, why consider a low-tech approach like herding in an era of high-tech solutions? Meuret and Provenza believe that we’ve let fences have too much influence on the foraging behavior of livestock and thus on the health of soil and plants and ultimately human beings. Fences can’t do what a knowledgeable herder can do to optimize grazing from a diversity of forage resources over days and weeks (even hours)—which they see as a big step toward ecological doctoring. Many rangelands exist in a degraded condition and grazing, when skillfully applied, can do wonders to restore them to health, as countless examples have demonstrated. The great conservationist Aldo Leopold understood this when he wrote that wildlife habitat could be restored through the “creative use of the same tools that have heretofore destroyed it—axe, plow, cow, fire, and gun.” Although we might drop the plow from the list today, his point remains critical: the goals and skills of the human using the tool matter most. Take herding. By carefully designing and adjusting daily grazing circuits, a skilled shepherd can stimulate the appetites of his or her livestock by encouraging the herd to eat from a mix of plants, some highly palatable and others less palatable. This not only improves the nutrition, health, and welfare of the animals, it can be designed for specific ecological effects, as well, such as chomping on weeds or targeting a particular species of plant. Fences alone cannot provide this degree of doctoring. Step 1. Upon entering a new grazing sector in a pasture, the shepherd lets the flock approach a predetermined boundary. He or she stays in a visible place on the front side of the flock and also places the dog in motion along the boundary. When the first sheep come near the boundary line, the shepherd loudly shouts something like “Hôôô!” From prior experience, the flock knows this cry means that the shepherd disagrees. The sheep quickly change direction (while keeping their eyes on the dog). Step 2. The next day, when grazing the same sector, the shepherd places the dog on the boundary again, but this time tells it to remain motionless. It’s just a reminder for the flock, which usually turns of its own accord when approaching the boundary. However (sheep being sheep), if a part of the flock insists on crossing the boundary, the shepherd will shout again, from the same spot, causing the sheep to turn back. Step 3. During subsequent days, if the flock tries again to have a peek over the forbidden boundary, then the shepherd will cry again, though this time from behind the flock. This completes the training process; the flock now understands that this movement is off limits. 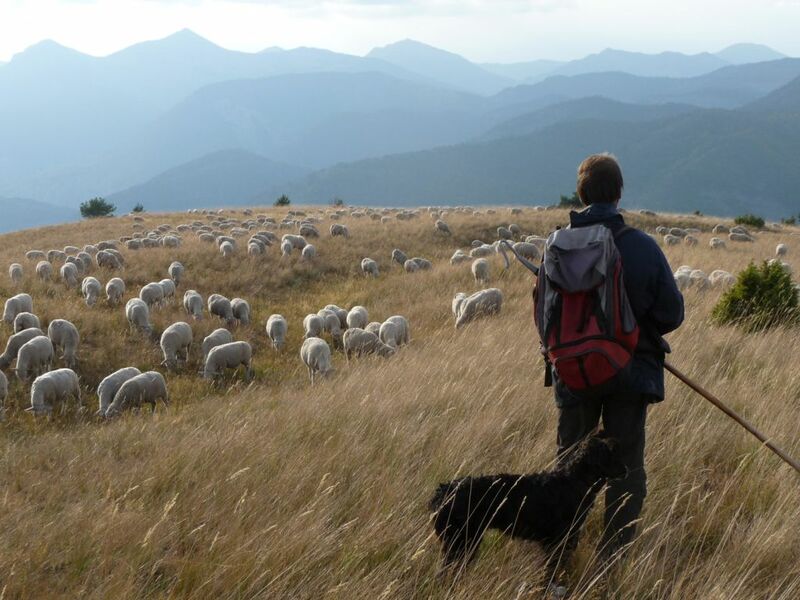 In this way, a shepherd can direct the foraging behavior of the herd in precise ways to accomplish whatever goal he or she desires, whether it is nutritional or ecological. This is where the science comes in. Decades of research into animal behavior, dietary needs, plant toxins, wildlife habitat management, fire risk reduction, biodiversity requirements and many other fields of scientific endeavor can inform the daily goals and hourly choices made by shepherds. In turn, shepherds can provide observations, data and other form of feedback to the researchers from their experience on the land—something else that fences can’t do! This is how wisdom is created, a non-stop, mutually respectful and reinforcing give-and-take between art and science. John Wayne must be rolling over in his grave. This thought crossed my mind as I sat in the back row of a herding clinic taught by Guy Glosson, Tim McGaffic and Steve Allen, ranchers and trainers who practice a type of low-stress livestock handling that emphasizes patience and kindness toward animals. Stop the whooping and hollering when moving cattle, they said. No more electric prods, sticks or aggressive attitudes either. Throw away your ideas of controlling animals by use of fear, pain or other forms of stress-inducing pressure, they insisted. Another reason to adopt the low-stress way is economics. The margin of profit on livestock for ranchers is literally counted in pennies per pound. The stress put on cattle as they move from the ranch to the feedlot or the slaughtering facility can “shrink” an animal’s weight as much as 15 percent. Stress can make an animal more susceptible to disease, often requiring additional medicines and additional costs. 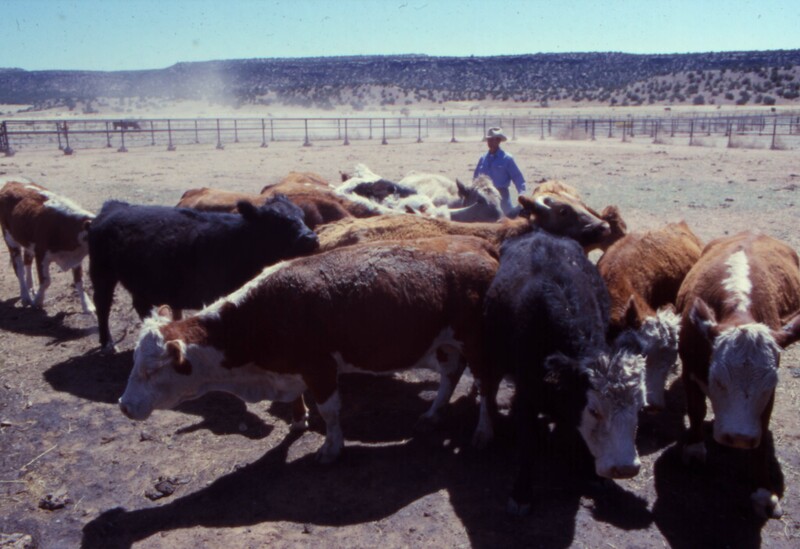 It can also affect pregnancy rates in cattle, the bread-and-butter of a rancher’s bottom line. It all adds up quickly in dollars and cents. Another reason is a philosophical one: how we treat animals speaks volumes about who we are as human beings. The low stress way starts with recognizing the predator-prey relationship and the effects of such things as noise, size, distance and motion on cattle, which, like many animals, have well-defined zones in which particular actions trigger particular responses. For example, the recognition zone is where the animal takes notice of you and tries to determine your intent. The flight zone, when crossed, will cause the animal to move away from your approach. Suddenly violating this zone means that you are likely to encounter a panicked animal who has perceived you to be a threat. According to Glosson, the key to successful low-stress handling is something called “pressure and release.” Your presence (as predator) creates pressure that an animal (as prey) wants to relieve. The critical moment occurs when you reduce the pressure instead of allowing the animal to do it for you by fleeing. You accomplish this by stepping into the animal’s flight zone in such a way as to pressure it in a direction or manner that you intend for it to move, and then backing off when the pressure is no longer needed—before the animal runs away from you. Worked with this way, animals learn from the release of pressure, not the pressure itself, and a mutual understanding is established. The whole idea is to use a “law of nature” to positive effect. For example, Glosson teaches his students to approach animals on foot in a nonthreatening manner, often zig-zagging as they get closer. When an animal sends a signal, such as raising its head or widening its eyes, the student stops, or backs up. If the animal moves off, then the student is too close or has done something threatening. Glosson tells them to start over. The modern concept of low-stress livestock management was developed by Bud Williams, a Canadian rancher who spent his entire life studying how to handle animals respectfully, swiftly and easily, including reindeer, elk, sheep and wild cattle. The key, he learned, was to pay attention to the instincts of the animal. It’s all about communication—and not just between man and animal, but between people, too. If you can’t communicate your ideas of what you’re doing, you probably also can’t get it accomplished.